I Scream, You Scream, We All Scream For Ice Cream. | In Florence. A Firenze. Gelato would be the better word to use in the title, but it’s not quite so catchy. This is one of the must-do things when in Italy. You can’t avoid it really, there are so many places to go, and so, so many flavours to try! I’ve tasted a fair few tubs, but I keep coming back to the three places below. Partly because they’re all within walking distance of my house, but also because they’re just really good at what they do. This is the place in the photo above. They have two stores in Florence: one in Santa Croce, and one in the Oltranro area across the river (the one pictured). You can tell they’re popular as a queue of people always stretches out the door. Prices here are great, as you can get scoops or cones for as little as €1, and they give you humongous portions! Also, if you’re a B.I.F. student you can get discounts on anything over €2, if you show your library card. 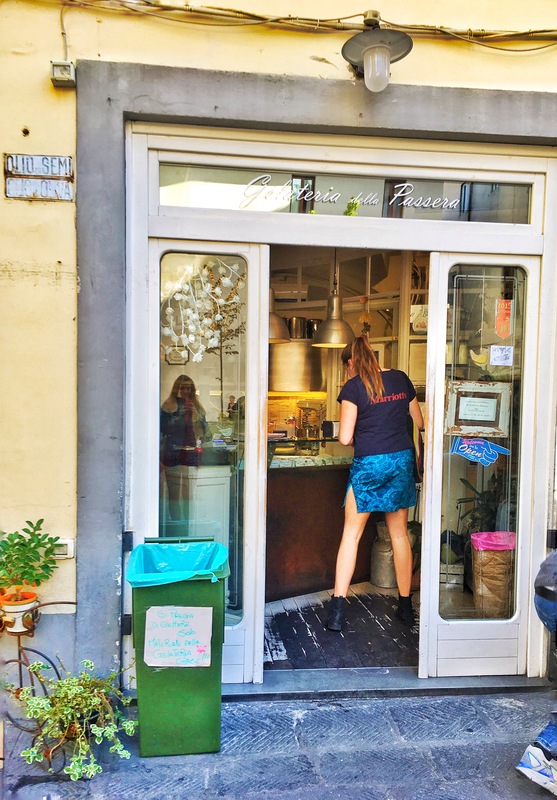 This tiny gelateria is nestled in the corner of Piazza della Passera, in the Oltrarno area. 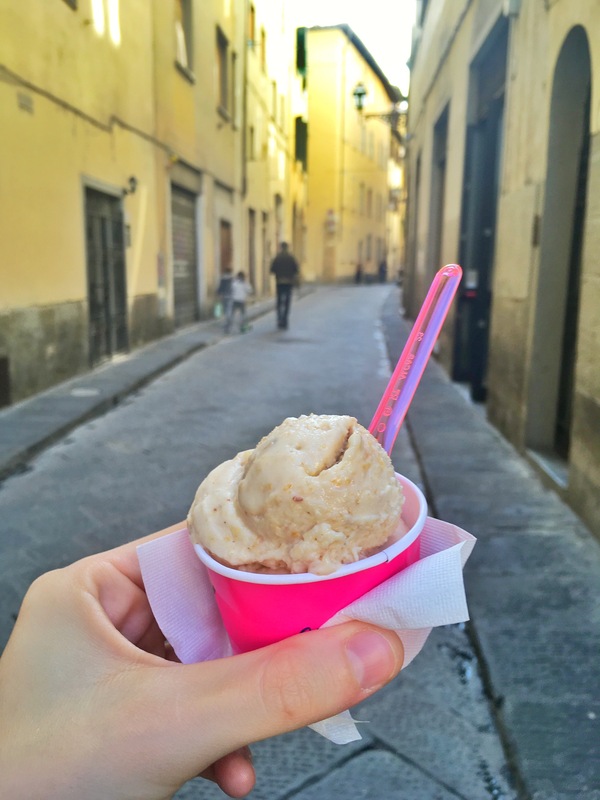 Prices are the same as La Carraia, but you only get a small scoop. However, it is 100% worth it. This is my favourite spot so far. The range of ice creams is large enough, so you don’t spend hours choosing. The flavours change daily, and they include some rather interesting ones like Mojito. The square is just down a small road opposite Palazzo Pitti, so it’s a great pit stop after a morning sight-seeing. 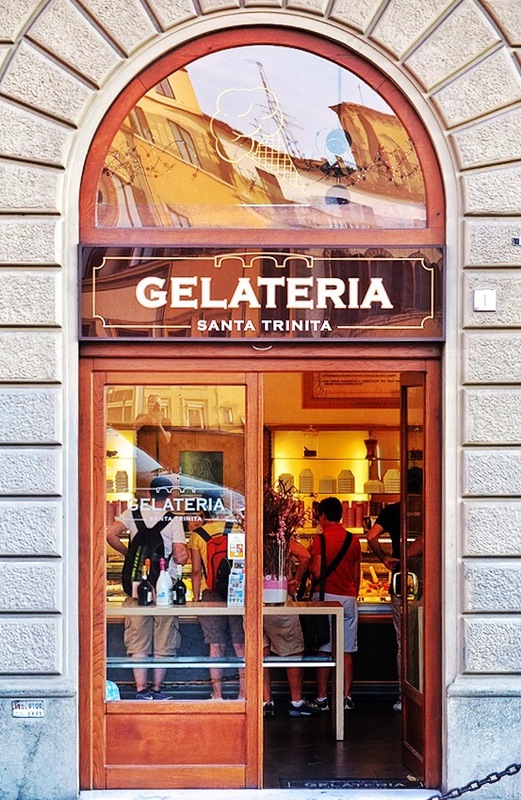 If you’re passing by the Ponte Santa Trinita, you’ll walk right by this gelateria. For this reason, it’s a little more expensive, but they do give you giant portions. The interior of the shop is beautiful, so you get the full gelato experience. Once you’ve got your scoop you can cross the road and enjoy it with a view right along the Arno, down to the Ponte Vecchio. They have a huge range of flavours, so it should keep everyone happy.